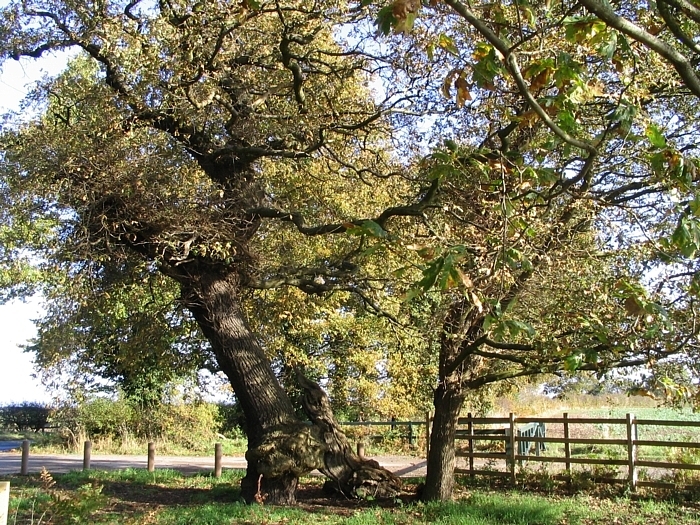 The Parliament Oak, one of the orginal boundary oaks for the Clipstone Royal Park and the oldest tree in Sherwood Forest. Evidence of flint tools shows some use of the Sherwood area by prehistoric hunter-gatherers. By the 9th century, farming communities were making a greater impact on the Sherwood landscape. Most of these communities still exist today. Names ending in ‘by’ like Thoresby, are Scandinavian in origin, ‘thorpe’ as in Gleadthorpe are Danish, and ‘feld’ (field) as in Mansfield, are Roman whilst ‘tun’ (ton) as in Clipstone are anglo-saxon. This was Clippes hamlet or manor. The name ‘Sherwood’ was first recorded in 958 when it was called Sciryuda, meaning ‘the woodland belonging to the shire’. Historically there were two different definitions of Sherwood. One was the great swath of woodland and heath found on the quickly draining poor sand-lands running up the centre of Nottinghamshire. The other was the Royal Forest of Sherwood, which comprised the royal manors and was subject to Forest Law. Before 1066 many of these manors were held by Edward the Confessor. Royal manors provided the King with his main power base so were very important. After the Norman invasion, these royal manors formed the core of the Royal Forest. The legal term ‘Forest’ meant an area subject to special laws designed to protect the valuable resources of timber and game (vert and venison). These laws were strictly and severely imposed by agisters, foresters, verderers (wardens) and rangers, who were all were employed by the Crown. 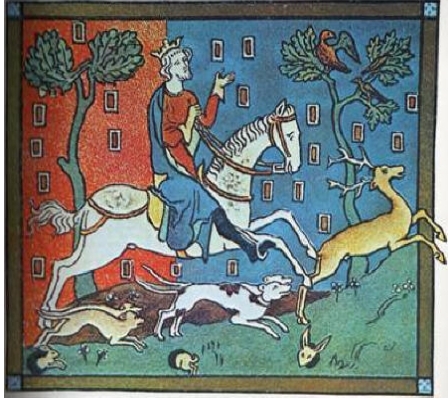 It was Henry II who, in 1180, enclosed the Royal Hunting Park of Clipstone and made the manor at Kings Clipstone, which later became known as King John’s Palace, a royal residence. The 1630 map of Kings Clipstone shows the Forest to the east of Kings Clipstone reduced to rabbit warrens and scrubby heathland called the ‘Shrogges’, a local dialect word.